While separation and divorce are hard for everyone involved, both are especially hard on children, particularly younger ones who may have no idea as to why they now have to live in two separate homes. Going back and forth between households requires kids to learn a whole new routine, which may be difficult for those who don’t do well with change. So, in the midst of a separation or divorce, regardless of whether you and your spouse are both in the process of getting new homes, or whether one person is staying in the current home, there are some things you can do to make switching to dual residency much more comfortable for both you and your kids. Throughout the transition, talk to your children and let them know what will happen and when. The age of the children, as well as the topics, should be factors to consider in terms of how you will approach the conversation. If you’re setting up a new home, let the children have a say regarding how their bedroom should be furnished and decorated. For example, let your children pick out a paint color or a bedding set they like. This will make their new house feel more like a home. It’s tough for children to go from seeing both parents every day to only being able to see each parent on specific days. You can help make your children feel more comfortable by sticking to their regular routines as much as possible. During the week, try to continue the same patterns for homework, TV time, baths, etc. that the children are used to in the family home. While it may be difficult to listen to your children talk about how much they love certain things at the other parent’s home, avoid trying to compete with the other parent in ways such as re-doing things in your home. The last thing your children need is more change, and aside from that, your children will find comfort in the familiarity of the home they’ve always known. Having to continually pack and unpack each time your children have to go from one house to the other can be exhausting. It’s also an easy way to lose property and clothing. To alleviate some of the stress when switching back and forth, both houses should have their own items available, such as toiletries, pajamas, clothing, shoes, and entertainment items like books, movies, and toys. Of course, you want your children to adapt to the changes right away, but most likely, it’ll take some time before they begin warming up to their new living situation. Don’t get discouraged when they have bad days, as they too are going through the divorce process. Instead, keep the lines of communication open and reassure your children that it’s okay to be emotional. 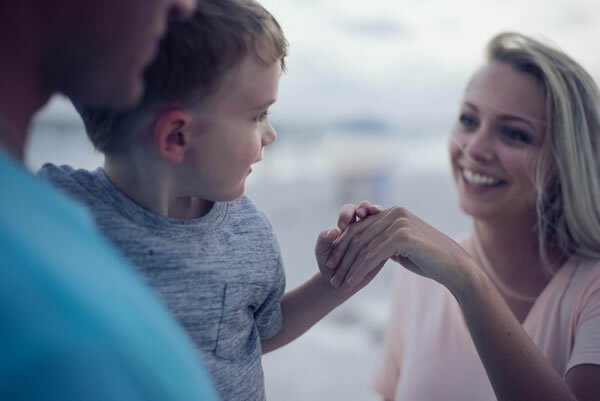 A divorce is one of the most stressful situations a family can go through; however, by implementing some of these practices, you can help make both residences more comfortable for your children. At The Roberts Family Law Firm, P.A., we understand what divorce does to a family. We are here to answer any questions you may have about how you should start the process and what will happen once the divorce is finalized. If you need an experienced Orlando divorce attorney, contact us today by calling 407-426-6999 or by filling out the contact form located on this page.